To the science museum for the Cosmonaut: Birth of the Space Age exhibition which was unexpectedly moving, and transporting. I went with old friend, photographer of Russian churches Richard Davies. The exhibition, rightly, gives full credit to Russia for the development of Space travel - something that was later lost in the politics of the Cold War. 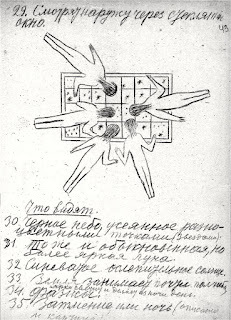 It opened with some 1920s drawings by Georgy Krutikov a Soviet avant garde architect that I’m interested in because he became a fierce defender of historic buildings in his later years, after meeting Pyotr Baranovsky, the giant of Soviet conservation, in Kiev in the 1930s. 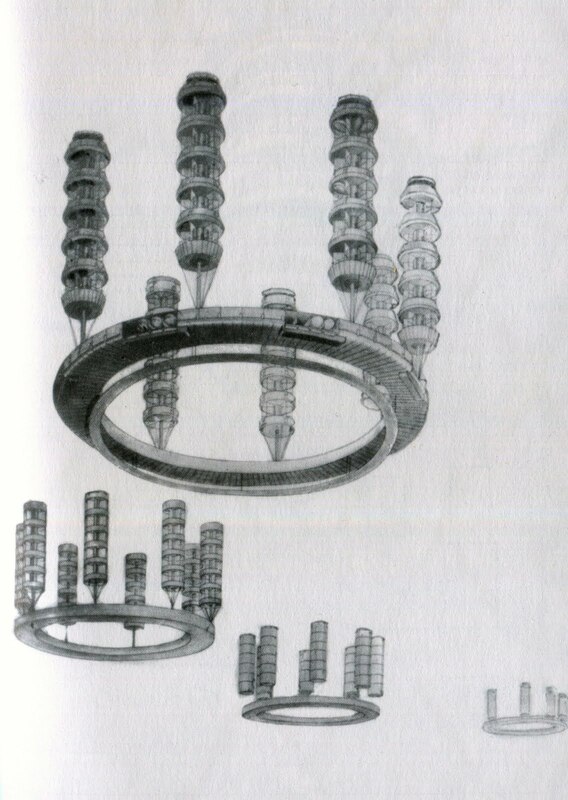 However, he is known for his Flying Cities, sketches which envisage humanity living in great floating structures that Richard and I agreed looked like elegant 1960s Soviet light fittings. There was also a wonderful pencil drawing by Krutikov, of a tear-shaped pod containing what looked like a deckchair and an ashtray, but perhaps it was a gear stick, hurtling through space. 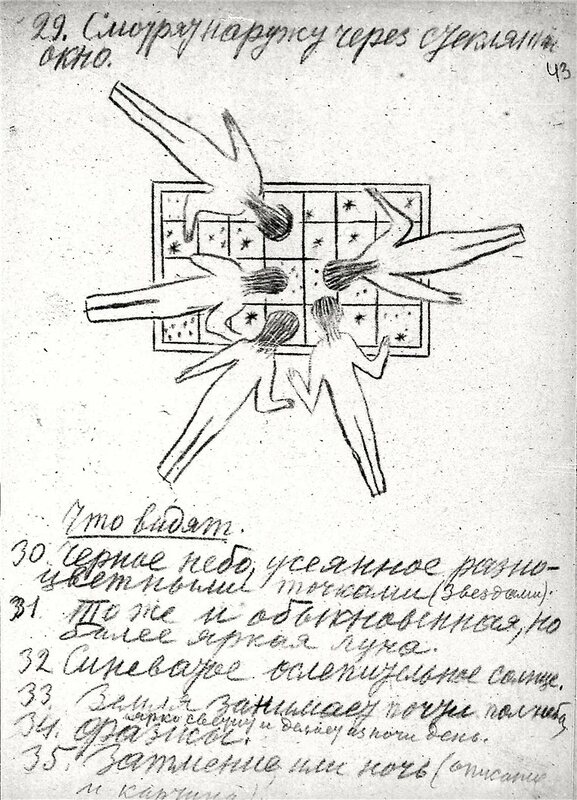 Even more extraordinary, because much earlier were the sketches by Konstantin Tsiolkovsky (1857-1935) the father of Soviet space travel. He was concerned with space travel as early as 1890s, though the sketches on show here date to the 1930s. 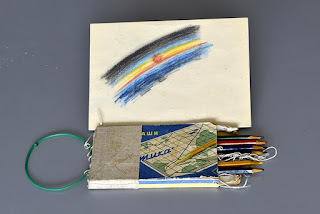 They are drawn with a thick blunt pencil and show rockets and people in space suits, connected to the rocket via curly wurly attachments, cosmonauts hovering over a window in the space craft, looking out into space. Another drawing shows a spaceman floating off, when his curly wurly string breaks off, and another scenario in which he is saved. And, extraordinarily, diagrams of how an air lock works. Photographs of Tsiolkovsky, the subject of an excellent historic novel by Tom Bullough, shows him with a giant ear trumpet - through which he could doubtless hear the sounds of the cosmos. Tsiolkovsky was immensely influenced by philosopher Nikolai Fyodorov, who believed that humanity must prepare for the Day of Judgement when all the dead shall rise again. There will not be room on earth and so we need to explore and colonise space. By many he is considered the true father of the exploration of space, and he remains a huge influence on Russian thought. 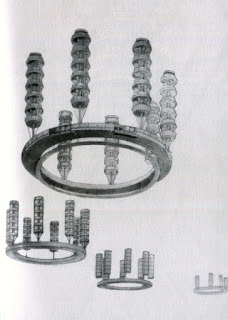 Tsiolkovsky's drawings of how man could reach space, as well as his research into rocket fuel and the creation of spacecraft, became reality thanks to Sergei Korolyov (1907-1966) a spacecraft designer and rocket engineer, who was at the centre of developing space travel technology right up to his death. This was despite being sent to a Kolyma Gulag at the height of the Terror, in 1938. His tin mug from the camps is on display. Many other rocket engineers did not even survive this period and he was fortunate to. The Terror set back Soviet space research by many years. Nevertheless, as the exhibition demonstrates, the Soviet Union sent the first man into space. Seeing the actual capsules that were sent up into space, with their strange, burnt exteriors, was mesmerising. Valentina Tereshkova was the first woman in space, at the age of 26, in 1963. 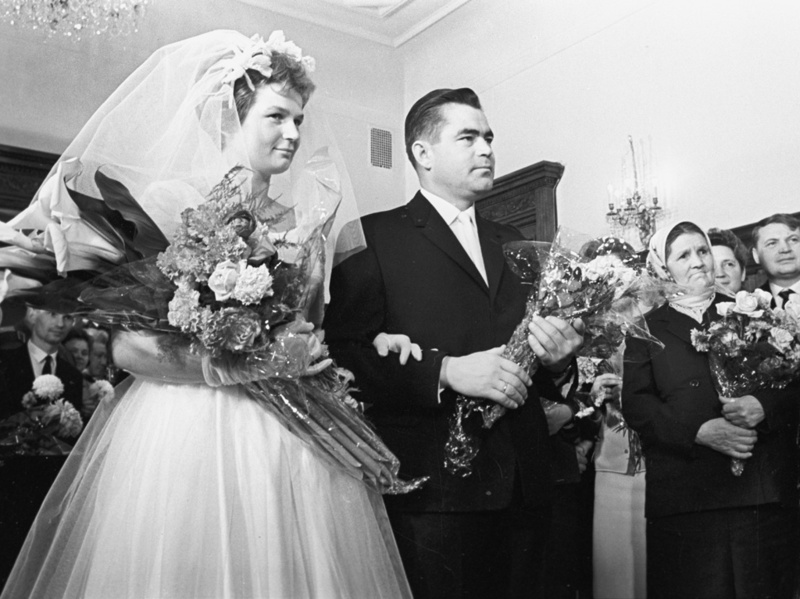 Later that year, she married a fellow cosmonaut: above her capsule in the exhibition is film footage of her getting married - a toothy grin, raising a glass of soviet champanskaya in her white dress and veil - a bizarre contrast to the grimy pod, which carried her around the earth for 3 days in total isolation. The wedding was only a few months later: their child was the first child to be born whose parents had both flown in space. 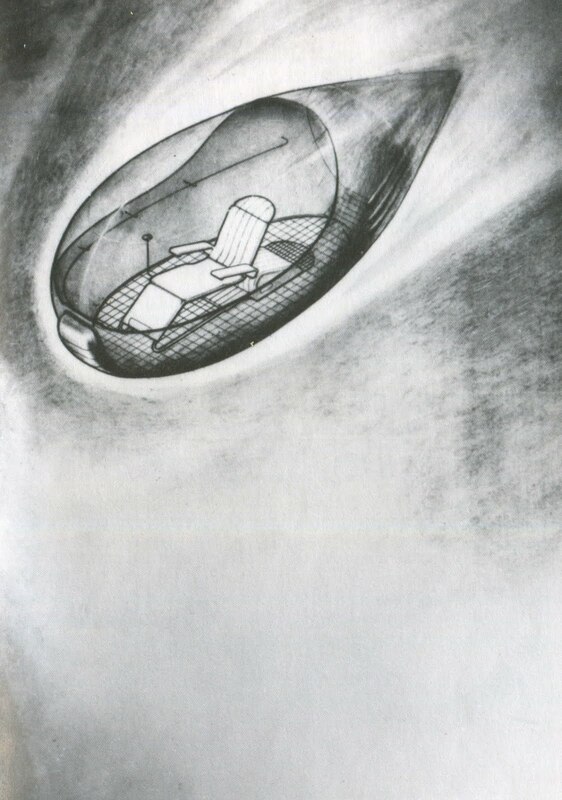 And then more drawing - cosmonaut and amateur artist Alexey Leonov took his pencils into space in 1965. These Soviet crayons are displayed in a cabinet - each with a piece of string attached to them which he in turned tied to an elastic band around his wrist. As he circled the earth, he drew the sunrise and sunset, that would have happened every 45 minutes. 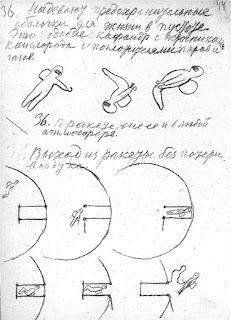 Exhibited for the first time in the UK is one of these sketches - the first drawing from space of the earth - executed in what must have been the most awkward conditions possible for an artist: cramped, unable to move, and with zero gravity, probably suffering from nausea. 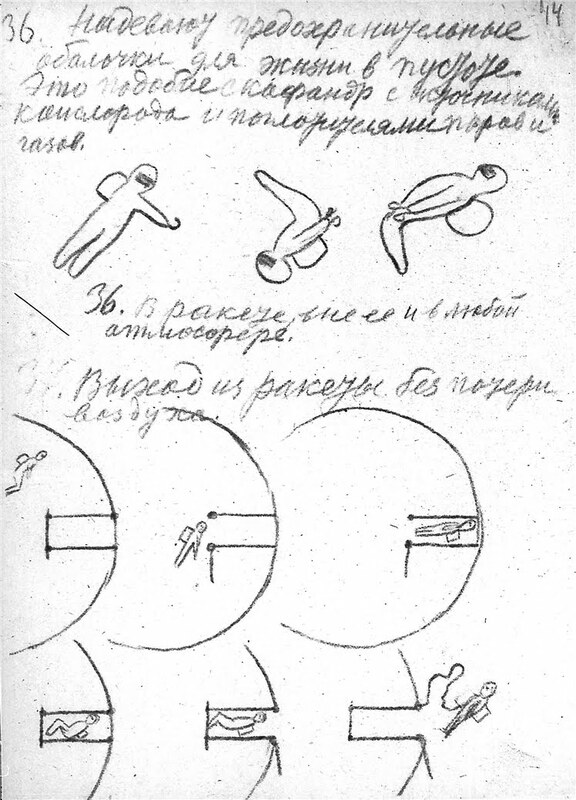 It is a tender, awe-inspiring little sketch, created some 30 years after Tsiolkovsky's imaginings of man in space. Fantastic - especially the concept that humanity has a duty to explore and colonise space with a view to the Day of Judgement. What a wonderfully literal - and somehow generous - idea!